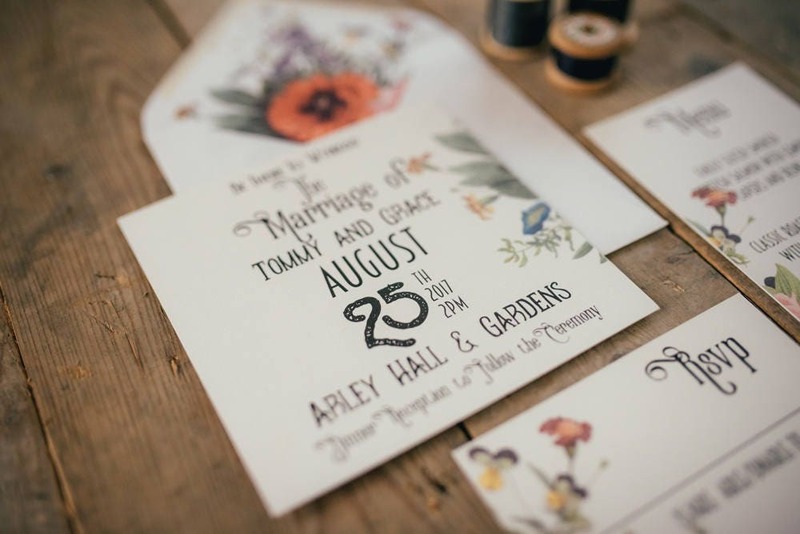 The design for this suite of stationery was inspired by the British television series 'Peaky Blinders'. 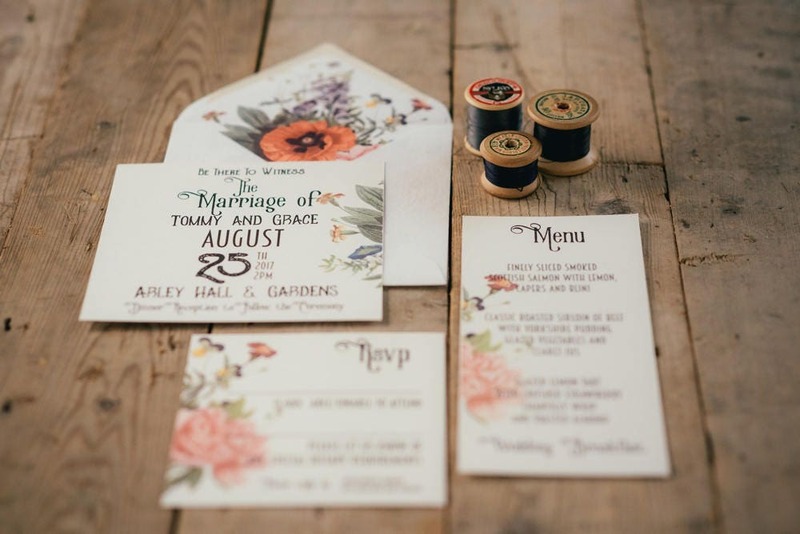 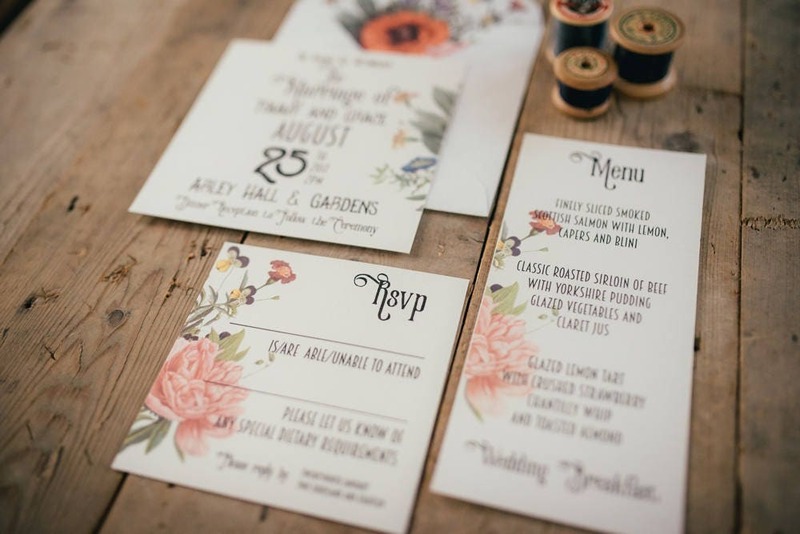 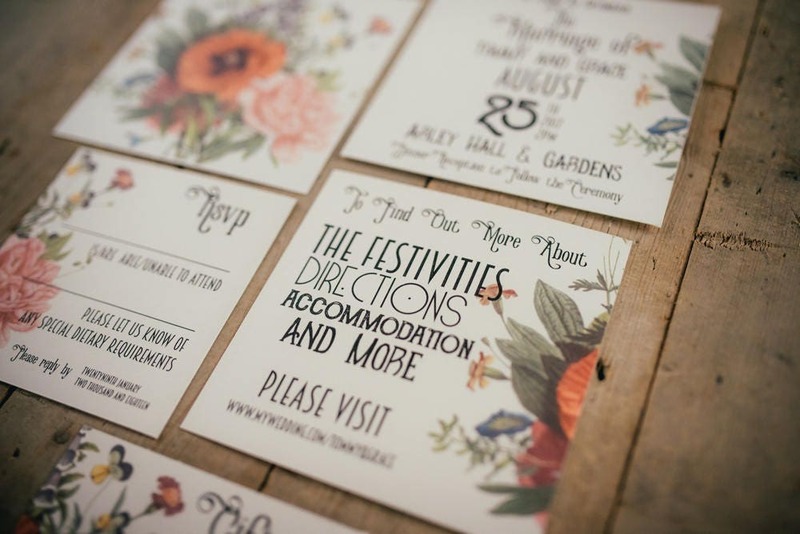 The vintage floral artwork works effortlessly with the 1920's inspired fonts. 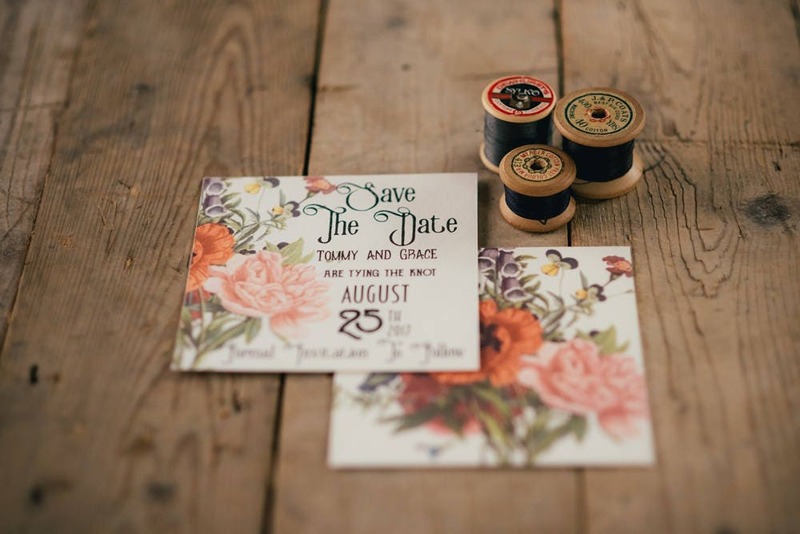 A modern twist for a vintage inspired bride or groom.